The Deering High School Choral musical family will be presenting a holiday program for us this Friday. At Deering, the young people are committed to a high-quality choral program. The vocal ensemble performs repertoire that is both stylistically varied and of high musical quality. Students are aware that being a member of the Deering Chorus is different from being in any other class. During rehearsals, students are asked to concentrate on greater refinement of previously acquired choral skills. These skills include diction, articulation, dynamics, octavo reading and producing a beautiful tone. Emphasis on part singing and sight reading are also part of this group. A great deal of time is spent on vocal and musical techniques, as well as performance standards. Many of the students who become involved in the choral program remain for their entire high school careers, primarily because being in a choral group is like being part of an extended family, as there is a special bond that is created among people who make music together. 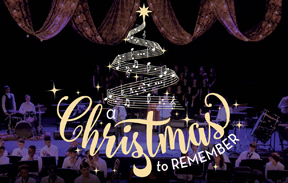 A select group of students from DHS's chorus, under the direction of Dr. Peter Stickney, will be performing selections that celebrate the diversity of the holiday season. In between songs, we’ll provide some narrative that relates to the context of each selection. Please be sure to join us!